Já tem HOMENS ESCROTOS se vestindo de Aia no carnaval. 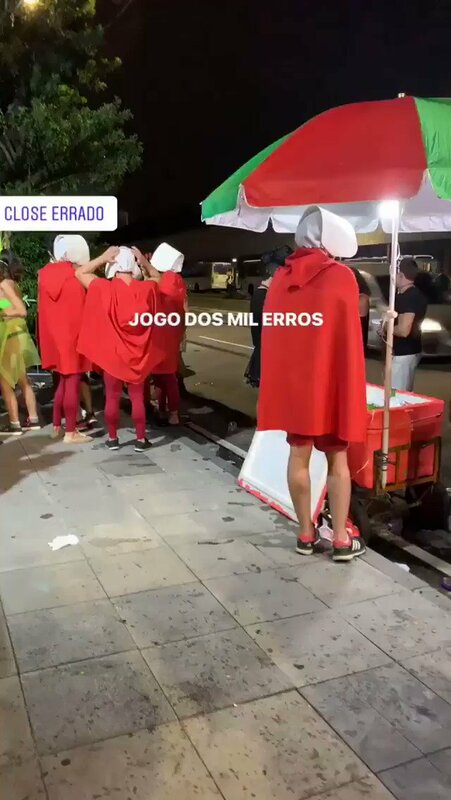 A pessoa acorda e fala "hm vou me fantasiar de aia de the handmaids tale onde elas são torturadas, estupradas, humilhadas, escravas, no bloquinho hj"
The actual “end of days” that the Bible talks about is not about violence and mayhem, but peace with justice. I have some receipts, fwiw. “See, the home of God is among mortals…death will be no more; mourning and crying and pain will be no more” (Rev. 21:3-4).